The Asian Media Information and Communication Center (AMIC) General Membership has ratified the selection of Manila as the new location for AMIC headquarters during its AMIC Annual General Membership (AGM) held on June 11, 2015. The AMIC AGM is one of the highlights of the 24th AMIC International Conference held in Dubai, United Arab Emirates. The conference was hosted by the American University in Dubai (AUD). 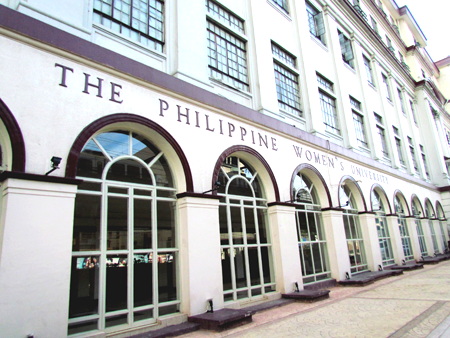 AMIC is now hosted by the consortium of the Philippine Women’s University (PWU)-Asian Institute of Journalism and Communication (AIJC). The AMIC Board of Directors, composed of outstanding communication professionals and educators from the Asia-Pacific region, also announced the election of Dr. Crispin C. Maslog as new Board of Directors chairman. Dr. Maslog is currently senior adviser and former vice president for academic affairs of AIJC. He will replace Arun Mahizhnan of Singapore. With his appointment, Dr. Maslog comes full circle at AMIC. He was part of a select group of Asian scholars and practitioners who conceptualized AMIC in Singapore in 1971. AIJC President Ramon R. Tuazon also assumed the post of secretary-general starting June 2015. He first served on an ad interim basis starting October 2014. During the AMIC Annual General Membership, Tuazon presented the AMIC Strategic Plan (2015 & Beyond). Among its programs are the revitalization of the AMIC international conference, revival of AMIC regional and sub-regional seminars and workshops, and textbook publishing. AMIC will continue publishing the Asian Journal of Communication (ACJ) and Media Asia, two leading academic and professional publications in the Asia-Pacific region. Both are published by Taylor & Francis Group, a leading international academic publisher. An independent, non-profit organization registered as charity in Singapore, AMIC has bloomed into the premier media research, publication, and information center in the Asia-Pacific region. With its transfer to Manila, it will also be registered at the Philippines Securities and Exchange Commission (SEC). Since its founding in 1971, AMIC has been based in Singapore. From 1997 to 2014, it was based at Nanyang Technological University (NTU).